Being a graphic or web designer means having a bit of a whimsical side because sometimes you need to step outside the grid or box. Paper toys let a creative person share their work with flair. Whether you want to design a paper toy or just print out someone else’s for a bit of fun, there’s plenty of paper toys online for free. 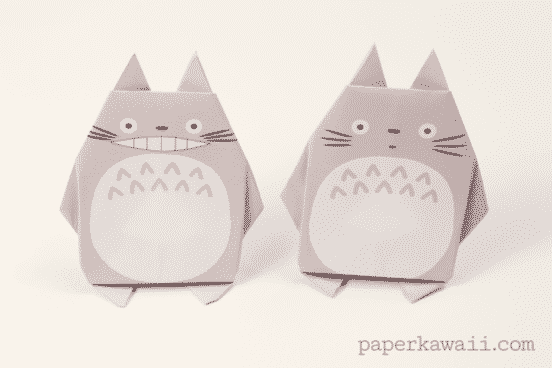 Let’s go through the geeky, whimsical, and outlandish paper toys can you make for your desk — and you’ll probably be inspired to design your own. Each of these links is to a PDF and features a full-color paper toy to download, print and assemble. Best of all, they’re all available for free! The beloved game Tetris came out in the 1980’s and is still going strong today. Get a taste of the nostalgia with the Tetris Party Deluxe paper foldable toy complete with those iconic blocks. 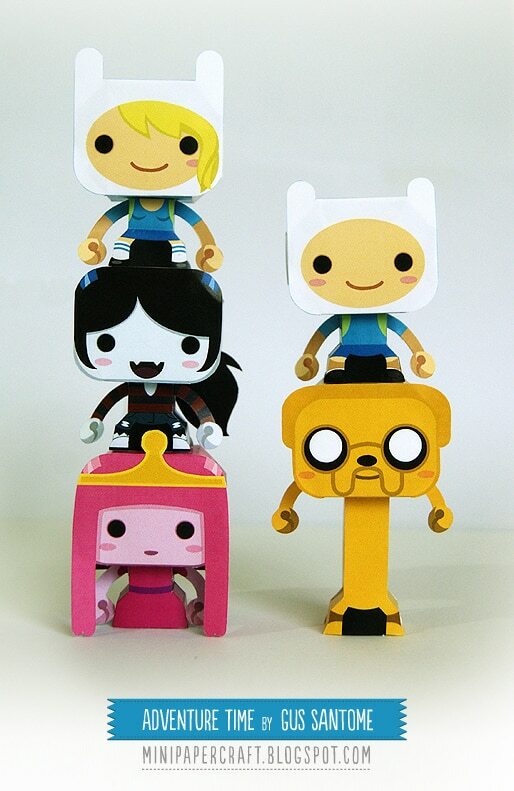 Assemble Finn, Jake and other favorites with Gus Santome’s Adventure Time papercraft toys. Show your love of TV and pop culture with a TV Head paper toy made by Anneka Tran or download an iMac Bot from Prawnsoda. Japanese paper engineer Tetsuya Watabe has made a whole slew of creative Japanese paper toy called ROMMY, each with their own design. Find your own favorite creature on the Rommy website. 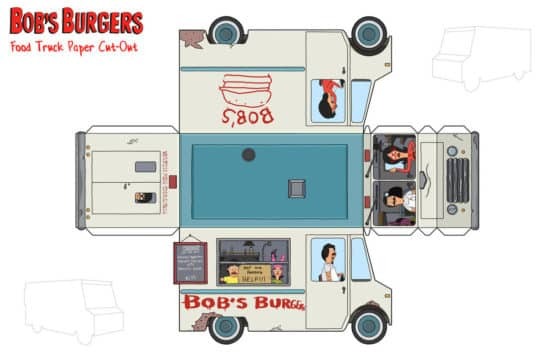 A designer from the show Bob’s Burgers has made a paper craft for you to make your very own Bob’s food truck so you can have the Bob’s crew near you always. 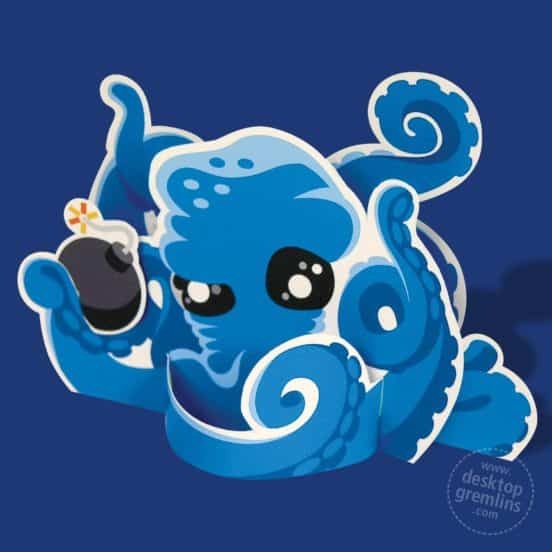 Get a friendly smiling Tortoro from Paper Kawaii with this free origami printable of the creature. 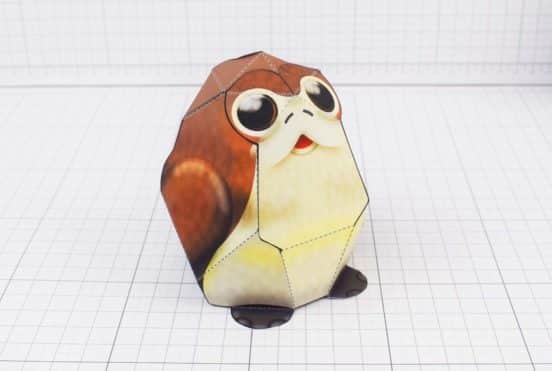 PORGs are the hottest thing from Star Wars: The Last Jedi, so make your own Porg to either thrill or annoy your fellow Star Wars nerds with a downloadable Porg template from FoldUpToys. Love the curves and designs of certain buildings? Keep them on you desk with your own mini model. Consider the Kaminarimon Gate of Senso-ji Temple, Japan by paper toy website Creative Park. What about gems? 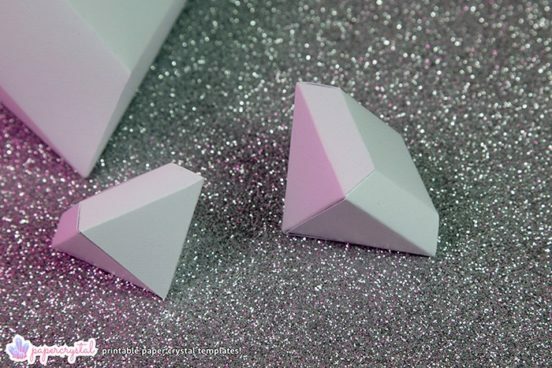 Yes, the gradiant beauty of these paper gems makes an eye-catching desk accessory. You’ll find them at Paper Kawaii, along with other great papercrafts for download. Desktop Gremlins has a few free paper sculptures to attempt, including a grumpy octopus and the Ninja Arowana. Create your own island or series of islands with these paper toys from Crowded Teeth. 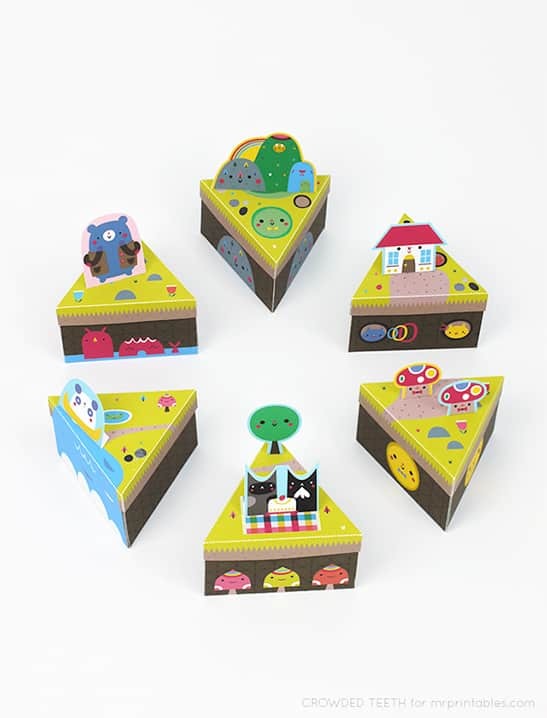 The toy is actually 6 individual cake slice-shaped islands that can come together and they even feature nooks and crannies. Supercoloring features more than 4,000 papercraft toys, including a variety of video game characters. The Ninetails Unmasked Demon is cute but creepy, while the Orochi Eight Headed Serpent is a must-download. 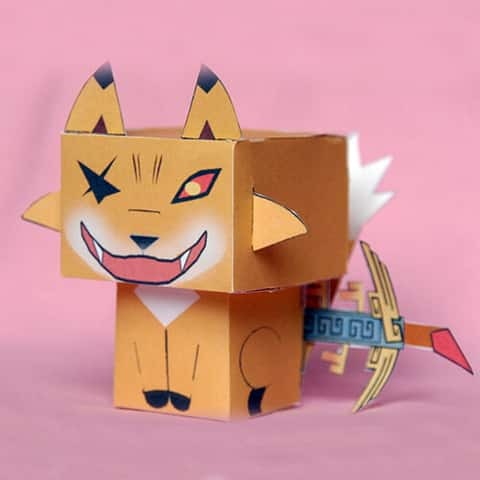 This is just the beginning of all of the paper toys out there for download, so check DeviantArt, Pinterest and the links on the websites we’ve shared.